Today we’re going to share a few apps that make you money. We spend a lot of time on our phone. We may as well use some of that time to make some money. A recent study by Nottingham Trent University found that people check their phones 85 times per day! The same study found that people spend five hours using apps and browsing the internet. Astonishingly, that means that the average person spends a third of his or her waking time on their phone. Since you already spend so much time on your phone, wouldn’t it be great if you could make money from it? There are apps out there that actually pay you, like these 28 money making apps, and you don’t have to do anything difficult or complex to earn. 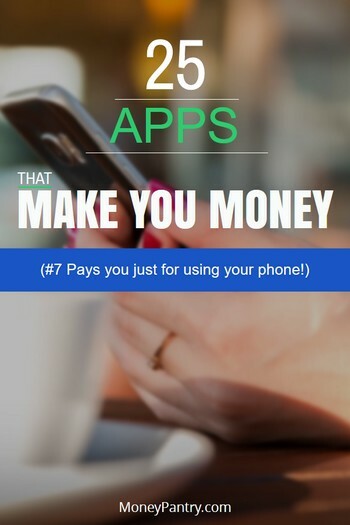 Most of these apps allow you to make money from the things that you’re already doing, like unlocking your phone, watching videos, shopping, and browsing the Internet. Sure, these apps won’t make you a millionaire, but they can really give your monthly income a boost, and give you a bit of extra spending money or some cash to put into your savings account. Would you like to get paid to share your opinion? Well, now you can with the National Consumer Panel. You join the consumer panel and share your opinion with brands. Essentially, you tell brands what you think about their products or services. Then, you earn points that you can redeem for rewards! All you need to do is scan your purchases, enter some information and then send your data to the NCP. You must be a registered member of the National Consumer Panel to use the app. To register, visit this page. Once you’re approved, you can then start using the app to earn rewards. Swagbucks is one of our favorite apps, as making money with it is so easy. For completing these tasks, you earn points that are called “Swag Bucks”. Once you’ve accumulated enough, you can redeem these points for cash via PayPal or gift cards for well-known merchants, like Amazon. Read our Swagbucks review to learn how you can earn an extra $758.25 per year using Swagbucks. Perk is a Swagbucks alternative if you wish. It allows you to earn rewards for the things that you already do. Once you’ve earned Perk Points, you can redeem them for cash via PayPal or gift cards for places like Amazon and Starbucks. InboxDollars is another app that’s great for making money easily. InboxDollars works with brands that pay for consumer input, and InboxDollars users provide this input. And, as an added bonus, when you sign up for InboxDollars, you get a free $5 sign up bonus. Do you have a coat that you rarely wear or a handbag that you no longer use? Well, using your mobile phone, you could sell your clothes and accessories that you no longer use and get yourself a bit of extra cash. An app called Poshmark makes selling your old stuff easy. Poshmark is a fashion-focused app that allows you to buy and sell items, like clothing and shoes. It focuses on gently used items. So, if you’ve got something to sell, consider listing it on the Poshmark app. 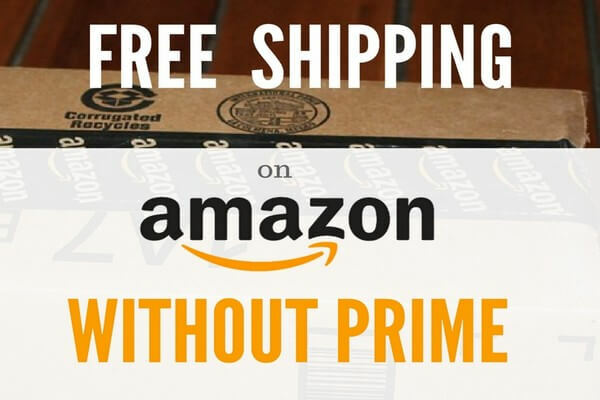 The app is incredibly easy to use and if you do sell something through it, the buyer pays for shipping! Maybe it’s unwanted books, rather than clothing that have taken up space in your home. If so, then check out Bookscouter. With this app, you can easily list books for sale, and make a profit from your unused library. Using the Bookscouter app, you can scan the barcode of your book and instantly compare real-time prices from more than 40 book buyback sites. Do you want to get paid just for using your phone throughout the day? With AdMe, you essentially get paid just to display ads on your lock screen. It’s a really simple way to make money from your phone. Once you earn $10 with the app, you can withdraw your funds to your PayPal account. The Microsoft Rewards program, also known as Bing Rewards is an app that essentially pays you to browse the internet. With Microsoft Rewards, you earn points for using Bing and Microsoft Edge to search the Internet. You can also earn points for shopping at the Microsoft and Windows stores. You can redeem the points you earn for a plethora of rewards, like games, music and gift cards. For tips and tricks on how to accumulate points faster, check out our detailed Bing Rewards review. Another app like AdMe that allows you to earn money simply by swiping your lock screen is Fronto. Fronto displays articles and rewards on your lock screen. If you’re interested in what’s displayed on your lock screen, then swipe left to engage with the content and it will take you to a web page or Google Play. If you’re not interested, then simply swipe right, and you’ll unlock your phone’s home screen like usual. You earn points for using this app, which you can redeem for cash via PayPal, as well as Amazon gift cards. An app that works in a similar way to Fronto is SlideJoy. This app, which is only available for Android, displays a card on your lock screen. This card usually contains a promotion or a news article. If you’re interested in the card and want to engage with it, then swipe your phone left and you’ll get more information about it. If you’re not interested, then simply slide your lock screen to the right as you normally would, and you’ll be taken to your phone’s home screen as normal. If you want to see another card, then you can swipe up on the lock screen. You get paid cash via PayPal, or you can donate your earnings to one of the SlideJoy’s featured charities. If you’re looking for Android apps that make you money, then you should definitely check out ScreenPay. This app displays personalized deals and promotions on your lock screen. If you’re interested in any of them, then simply drag the circle toward the ScreenPay logo and it will launch the deal. If you don’t like any of the deals, then you need to slide the circle into an app icon and it will unlock your phone as normal. You get paid via PayPal. Did you know that there are apps out there that help you to make money and get healthier? An app called Bitwalking pays you to walk! When you use this app, which is only available for Android devices, and walk, you earn Walking Dollars. You can spend these Walking Dollars at the Bitwalking store – this is a bit limiting compared to the other apps on this list. If you’re looking for a really easy way to make money using your phone, then you should definitely check out Smart Panel. Essentially, all you need to do is download and install the app and you get paid. Just answer a simple questionnaire – this is to determine whether or not you qualify for the Smart Panel. If you do qualify, you just need to install the app on your registered devices. Just for qualifying and installing the app, you get paid $5. Once the app is installed, you’ll earn $5 for every month, just for keeping it installed. In order to keep earning from Smart Panel, the app must be installed and active on at least one device. As an added bonus, panelists that remain active get a loyalty bonus every three months. You can redeem your rewards for cash through PayPal or for Amazon gift cards. With Foap, you can make money from your smartphone photos. It’s easy. All you need to do is upload the photos you take from your smartphone. Your photos then will be listed on Foap for people to buy. Photos sold through Foap cost $10 and you receive $5 each time one sells. If you’re already taking photos with your phone, as most people do, then this is a really easy way to make some extra cash. This is a popular app that has been featured by major news outlets and publications like, ABC News, CNN, BBC, and The New York Times. Payments are sent via PayPal. With the Ipsos i-Say app you get paid for sharing your opinion. It’s as simple as that. Using the app, you can take surveys anytime. You get access to exclusive mobile surveys and instant survey notifications. When you take surveys, you earn rewards, which you can redeem them for gift cards. MobileXpression is another market research panel app that rewards you. MobileXpression is a research panel that focuses on studying trends and behaviors of people using the internet from their mobiles. If you become an active member of the panel, you can earn rewards. If you want to get paid for giving your opinion, then check out iPoll. With this app, you participate in online surveys. In exchange for your valuable feedback, iPoll rewards you with cash, gift cards, and other perks. You can also earn cash for other missions, as iPoll calls them, like visiting a store and taking photos. Loot is one of the most interesting apps that make you money. Using it, you get paid for sharing and creating content for brands. You work as micro-endorser for brands. Essentially, if you take photos of the products you use and share them on sites like Twitter and Facebook, you earn rewards. More and more people choose to shop from their mobile phones, so why not make some money out of it? And when it comes to it, eBates is one of the best cashback sites out there. Shopping through eBates can earn you between 1% to 20%, and in some cases up to 40% cashback. Using the app, you can shop at 2,000 participating retailers. And, if you invite your friends to use this app too, you can earn more! For referring a friend, you earn $25. As an added bonus, you get a $10 Walmart gift card just for signing up! Clashot is a similar app to Foap. With it, you can earn money from your photographs. All you need to do is download and install the app, and then upload your photos. Your photo will be moderated and once approved, it will be available for sale to millions of buyers. When your image sells, you get a commission. You can withdraw your earnings through PayPal or Skrill. The best part is you can sell your photos for an unlimited number of times, meaning you can make money over and over from the same photo. Mobee is a mystery shopping app. 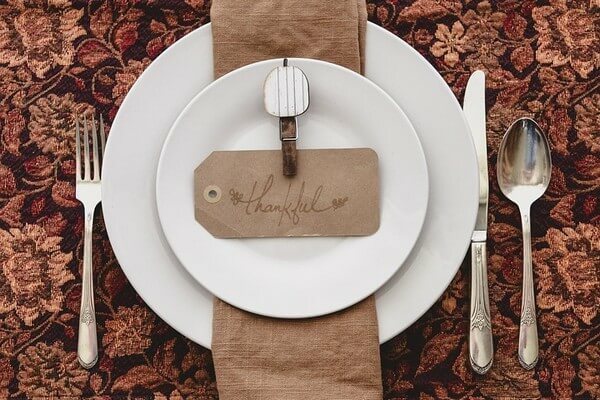 It pays you to shop and dine at a variety of establishments. All you need to do is provide feedback to the businesses that you visit and you earn rewards. The app is incredibly easy to use, and you get to choose which business you visit. The Mobee app features a map, displaying thousands of retailers and restaurants across the United States. You choose the one you want to visit or a “mission” as the app calls it. Once you’ve chosen your mission, all you need to do is answer some easy questions as you shop or eat. You earn points for doing this, which you can redeem for gift cards, goods, or cash. Wouldn’t it be great if you could get paid just for trying free apps and games, and watching videos? Well, with Tap Cash Rewards, you can. With this app, all you need to do is download the apps and games it features, and run them. In return, you get credits, which you can redeem for cash via PayPal and gift cards for Places like Amazon, Target and Google Play. And, if you log in daily, you’ll get bonus credits. You can also earn more credits by inviting your friends to Tap Cash Rewards. A good android app that makes you money is Google Opinion Rewards. It’s a survey app that essentially pays you to share your opinion. To start earning, you need to download and install the app, and answer a few basic questions about yourself. Once you’ve done that the app sends you surveys – on average, surveys are sent once per week, but you could receive them more or less than that. The surveys are super simple, so they don’t take long to complete. You are rewarded with Google Play Credit. With the Money Machine app, you can earn points for completing simple tasks, like downloading apps and watching videos. If you invite your friends to use the app too, then you can earn extra points. Once you’ve earned points you can redeem them for cash via PayPal. Wanna shop and get paid for it? This is the app for you then! You earn rewards by taking pictures of your receipts. Receipt Hog is like iBotta somewhat but with one major advantage. iBotta only rewards you when you shop from certain stores, but with Receipt Hog, you earn rewards for shopping anywhere. And that is a major plus. Imagine how quickly you can rack up points just from your normal daily shopping receipts – gas station, grocery stores, restaurants are some of the places most of us buy things from almost every day. Like most people, you probably already spend a lot of time on your phone. So you may as well turn some of that time into cash. With these apps, you can easily make some money to put towards a weekend getaway or just give your savings a bit of a boost. Please leave a comment below if you know and use other apps that make you money. This is a very interesting list here, some of the apps look very familiar because they are survey sites that I’ve used to work with but I never knew that they had an app.